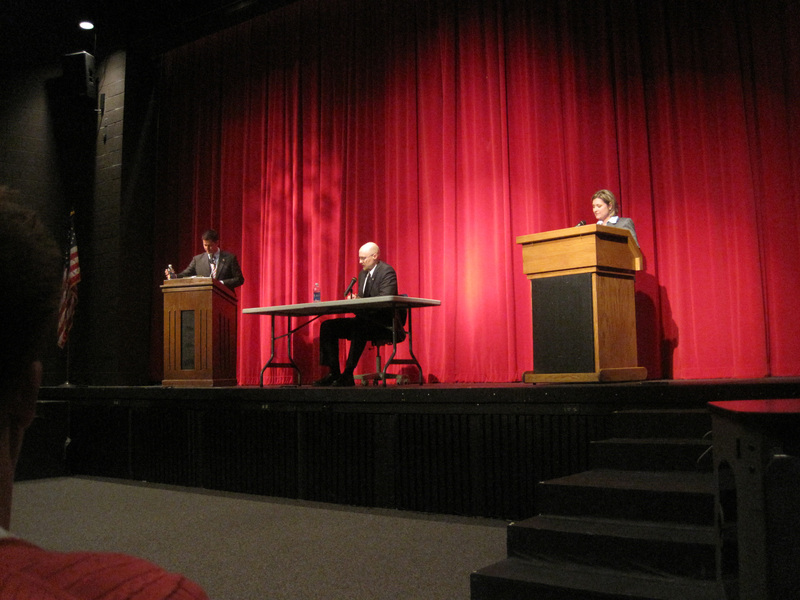 Sean Duffy and Julie Lassa debate at the fine arts theater at the UW-Barron county campus in Rice Lake Wisconsin on Wednesday October 20th 2010. They are running to succeed long time retiring congressman Dave Obey in Wisconsin’s 7th US Congressional district. (photo courtesy of and (c) John Monson).